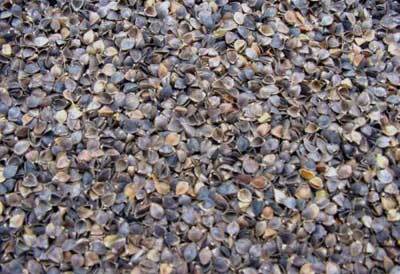 Common Buckwheat Hull is a short season crop that grows well on low-fertility areas where the soil is well drained. Too much fertilizer especially nitrogen reduce its yields. The presence of pollinators greatly increases the yield. The nectar from buckwheat flower makes a dark colored honey. In India Buckwheat is sometimes used as a green manure, as a plant for erosion control, Human Feed and some other uses too.